Haven't done something like this in a while! I generally don't do tag posts 'cos I have so many other things to write about I find them a distraction. But this one is sweet 'cos you share seven facts about yourself, something I haven't posted much before. I think I did a 5 facts about me post but I can't even remember if I published it... (I feel so bad admitting that to you)! I was nominated to do this by Maeve of Thrift o'Clock, go and read her seven facts! .I have three scars. Two old one new. .I have always been, and always will be, obsessed with Cats! the musical. .I don't drink Malibu anymore. .I do drink white wine spritzers though. .I just spent my £15 Argos voucher on new bed sheets. .The Clash are probably my favourite band. .I don't like courgettes and believe they are the food of the devil. Awh I am so happy to be nominated! I will definitely give it a go! 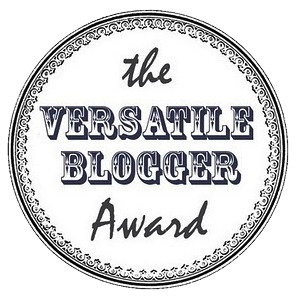 It'll be quite the task to find 15 bloggers who haven't been nominated already though! I have a permanent scar on my belly! Aw thanks for including me! And yes, courgettes are gross.. my mum chops them up really small into dinners she makes to try and trick me and my brother aha! Thank you for the mention :-) It's weird because you were actually one of the first blogs I stumbled upon on bloglovin and actually ended up following ages ago when I started mine! I agree with your choice not to drink Malibu *pulls disgusted face* me and my friend always rely on the rosé + lemonade combo before a night out now, obviously a typical and reliable student drink, awful for hangovers but at least we get to feel slightly more upper class haha! Wooo I'm a fav! I like being a fav! I'd totally spend an Argos gift card on bed sheets too! They're grey and checkered. Boring and functional. Just how I like my bed sheets.